There just never seems to be a dearth of topics for reflection in this newsletter. The themes for this week: moral courage and conscience. But first, all of us here at PJ Media, PJTV and Next Generation.TV send our heartfelt condolences to the people of Moore, Okla., which was devastated by a tornado early this week. The storm killed at least 24 people, including nine children inside a school, injured dozens more and leveled entire neighborhoods. My first duty station in the U.S. Army was at Fort Sill just south of Moore, so we feel a special bond with those of you in that community. Angela, Aubrey, Austen, Lin and I send up prayers to our heavenly Father that you will be consoled in this time of heavy emotional stress and despair. We also ask that God welcome your loved ones into His loving arms, where you all shall be with them again one day. It has been a busy travel week for this ole paratrooper. It was great to be back in Georgia and address the Republican convention there. To have the distinct honor of standing before the delegates of the Virginia GOP convention in Richmond also will be a moment I will never forget. After those events, I flew back to Los Angeles to attend the American Freedom Alliance’s Heroes of Conscience awards banquet. It was truly humbling to receive the 2013 “Heroes of Conscience” award from this organization because the alliance seeks to promote the principles and values that strengthen western civilization. Its president, Avi Davis, is an ardent warrior for liberty, freedom and the free market. Sadly, Davis told the audience that the group’s tax-exempt status has been revoked. The tornado that hit Moore, Okla., demonstrates nature’s power to destroy lives. But the news about AFA demonstrates that the man-caused disaster from government’s misuse of power can be far more destructive to our great constitutional republic. Virginian Thomas Jefferson, once stated: “When the people fear the government there is tyranny. When the government fears the people, there is liberty.” I do not believe anyone in the Obama administration is worthy to be recognized as a hero of conscience. As I was flying to Los Angeles on Jet Blue Monday morning, I watched the movie “Black Hawk Down” on FX. If any modern-day combat movie truly features heroism, that is it. The Rangers and Delta operators who fought the 1993 battle of Mogadishu, Somalia, in the movie exemplified heroism for all of us to see. But as I watched the movie, I recalled how former President Bill Clinton, through then-Defense Secretary Les Aspin, denied support to our men in combat there. That memory made me reflect upon how the other Clinton, former Secretary of State Hillary Clinton, more recently abandoned Americans engaged in combat with Islamic terrorists in Benghazi, Libya. The words of Gen. William Garrison, the U.S. forces commander in Somalia, symbolized the creed of warriors: “No one gets left behind.” I wonder if Gen. Carter Ham issued the same order the night terrorists attacked the U.S. embassy in Benghazi and killed four Americans but heard a different order from Washington? Howard Dean called Benghazi a laughable joke. This week we learned that it was not just reporters at the Associated Press targeted by the Obama administration. Fox News Washington correspondent James Rosen and CBS investigative reporter Sharyl Attkisson have, too. The last time I checked, America had “freedom of the press,” but these intimidation tactics are far from displaying the foundations of our constitutional republic. How much deeper does this go? Of course, our government officially declared his terrorist attack as “workplace violence,” so the victims have been denied proper recognition and benefits. Why? Well, according to the U.S. Army, declaring what Hasan did to be a terrorist attack would unfairly impact his trial. He will be paid until proven guilty. Let it be known that our lack of national conscience in punishing Hasan, and truly in reacting to domestic Islamic terrorism, has emboldened the enemy. That was sadly obvious again this week when Islamic jihadists attacked and beheaded a British soldier in broad daylight. Even more despicable, disgusting and savage, one of the barbarians with blood-soaked hands made a video describing the attack and promising more of them. I pray the British have learned a lesson from us here in America and will not call this attack workplace violence, especially because these bastards also were shouting “Allahu Akbar” as they brutally killed the soldier. Have we lost our sense of moral courage and conscience, not just in America but also across Western civilization? The next generation must have men and women of conscience to ensure that we pass on the blessings of liberty, freedom and democracy – our American birthright. Part of our DNA, the American genome, is threatened. We need men like the two brave Americans who lost their lives this week, FBI special agents Christopher Lorek and Stephen Shaw. They were part of the hostage rescue team in the Critical Incident Response Group and lost their lives during a fast-rope training exercise from a helicopter onto a ship when they plunged into the Atlantic Ocean amid rough weather and ocean conditions. Lorek is survived by his wife and two daughters, and Shaw is survived by his wife, daughter and son. America will persevere as long as we continue to raise such men and women of conscience, not cowardice. This entry was posted in Weekly Wrap Ups and tagged Allen West, Benghazi, Fort Hood, Les Aspin, Los Angeles, Next Generation TV, Nidal Malik Hasan, PJ Media, United State, United States Army, Weekly Wrap Up. Bookmark the permalink. 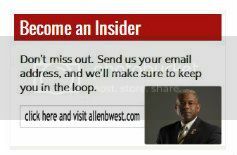 Video: Allen West joined Greta “On the Record” Discussed Guantanamo, Terrorist, Drones and are we more secure? This is a little off target, but wanted to share a couple of things with you. If you haven’t been in touch with John of Liberty Radio in Vero Beach, he is sending around some important things regarding not just Agenda 21, which we all knew about, but, about Seven 50 which is basically about fascism for this Country and apparently the foundations are already being laid for it through local organizations – not governmental ones – groups outside of the government. We all are going to have to be cautious about who we support. Although something might sound good, may not make it so. This Seven 50 is part of an Obama Executive Order. Somebody has got to get up there and read what is in those Orders. I am thinking it was like 151 something or other. John sent around a meeting of his local government meeting. What came up was surprising because this EO completely bypasses local governments and creates Regional Divisions, and they actually do state that fascism is the best form of government, and they go through step by step how they are going to do it. Did you know about this? You can find it through John or Jennifer or it is on my Facebook too. You know I have quite a few “activist” organizations. I did that on purpose. Also, I had some words with Mia. She sent around a “hand written letter” requesting support. Of course, the problem is that a “hand written letter” is generally for one party, and that was not the case in this situation. Now, I recognize that we “accept” politicians to be somewhat “easy” with the Truth, but, at this time, the Truth is important to the American People, and that is not going to fly. It is too bad too because I might could have done her some good. You too need to be Truthful with me – I don’t think I have to remind you of that. I have been very careful of who I have been supporting and rightful so based on the information I got. Be cautious of the non-profits. Of course, there are others I do trust and we need more good people so I will have to increase our ranks which I hope you are doing too. You would not believe the musicians that are coming through – I should have known something was up. Do have a good Memorial Day weekend – you deserve it, I am sincerely Thankful for your service to our Country – I hope you know that. Keep the Faith. As Shakespeare wrote, “All’s Well that End’s Well” and that will be done. I am into “Law and Order” in Washington – that is such a rat’s nest. You can be glad you are not there now.